I recently overheard the phrase “purée mom.” I googled it to get a proper definition for you, but apparently it isn’t really a thing. Perhaps I will be the one to write the wikipedia entry for “purée mom.” You probably get the idea, but a purée mom subscribes, in varying degrees, to the Jessica Seinfeld school of getting children to eat healthier by sneaking vegetable purée into whatever you can. Mom-taxonomy totally cracks me up. When I saw the original recipe for this banana snack cake, which is in from Enjoy Life’s cookbook called Cookies for Everyone, I thought of the purée moms. (PS: It looks like Enjoy Life has a new cookbook too! Cupcakes for Everyone!) 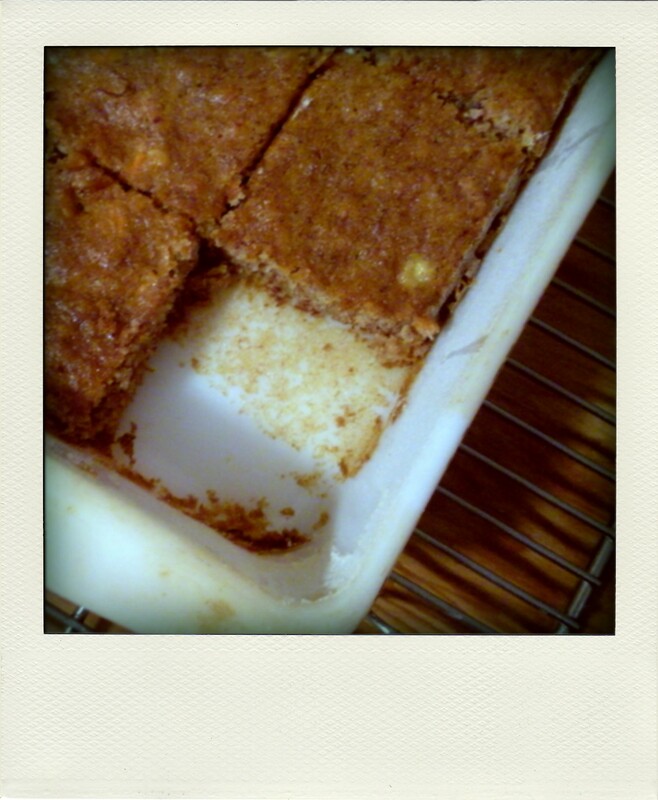 Not only does this little cake have pureed bananas, it also has grated carrots and raisins. I had some stray carrots hanging out in my fridge and something about the carrot banana combo appealed to me, so I went for it. I’m not going to lie, I was surprised how much I liked this. I expected these to be a little more dense, like a blondie. After all, they’re gluten-free and eggless. But, they turned out fabulously cake-y with a really nice crumb. Cake-y enough to frost with a simple white icing, if you felt so inclined. My favorite feature of this cake was one that was a complete surprise: it stayed astonishingly fresh on the counter, just covered in foil. 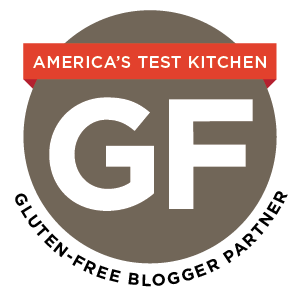 If you make gluten-free treats with any frequency, you know that it can be a challenge to keep them from drying out. When I made these, my rubbermaid fortress of gluten-free treats was occupied, so I left them out, simply covered in foil. Without an air-tight container, I expected them to dry out quickly, but by some magical confluence of the bananas, carrots, and raisins, they stayed fresh for days, right up until I polished off the pan. 1. Preheat oven to 350 degrees. Grease and sweet rice flour an 8×8 square pan. 2. In a large bowl, combine the bananas, sugar, and oil. Using a hand-mixer (or elbow grease), mix until smooth. 3. In a separate bowl, combine the dry ingredients (not including carrots and raisins). 4. Add the dry ingredients to the wet and stir by hand until combined. At this point, if the batter seems dry, add a splash of the milk of your choice. If your bananas were a bit on the small side, I imagine the batter might be a little thicker. You shouldn’t need to, but just in case. 5. Fold in the carrots and raisins. 6. Pour into the pan and bake at 350 until a toothpick inserted into the center comes out clean. The original recipe said 30 minutes, but mine definitely stayed in closer to 40. Test it at 30 minutes and go from there.